Security personnel are being asked to justify their existence in a corporate environment. They must prove their worth in dollars and cents by showing the return on investing in loss prevention. This means security departments are being forced to contribute more to the business as a whole. This book will show security managers and personnel how to go about this, and how to achieve quality in their departments. Suggests security should be a valued resource within the corporation that can contribute to bottom line performance. 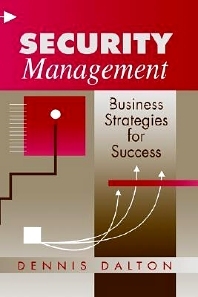 Teaches security managers to approach their jobs as 'business managers who specialize in security'. Written by Security Magazine's 1987 Executive Achievement Award recipient. Security managers and personnel, especially corporate security.